Company Overview｜Manufacturing and Cost Management System's Ammic. Consulting, support and training for implementation and operation. Software development for specific customer. Sales of the related computer, and LAN/WAN equipment. 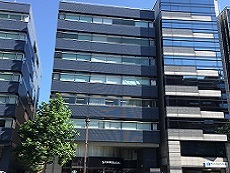 AMMIC Corporation was founded as a production management system consulting and development firm in Hamamatsu, Japan. Established AMMIC Corporation Philippines as a Manila development center. Released an integrated manufacturing management system AMMIC/PB. Opened Shanghai office and Beijin office in China. Released a sales a manufacturing management system AMMIC/CM-P and a cost management system AMMIC/CM-C. Released a sales analysis system AMMIC/WebSFE. Released a web-based procurement system AMMIC/WebPROC. Released a production management system AMMIC/NetP and a cost management sysem AMMIC/NetC. Released a manufacturing management system AMMIC/NetP Ver2.0. Released a cost management system Ver2.0 and an accounts receivable/payable management system AMMIC/NetAPAR Ver2.0. 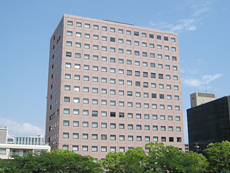 The capital increased to 77 million yen. Acquired ISO/IEC 27001:2005 / JIS Q 27001:2006 certification *except oversea offices. Released a large scale ERP system AMMIC/Net series ver2.2. 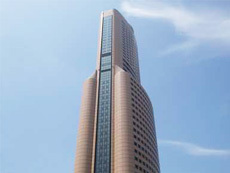 The capital increased to 81 million yen. Acquired ISO9001:2008 / JISQ9001:2008 certification *include oversea offices. The capital increased to 99 million yen. Released a large scale ERP system AMMIC/Net series ver3.1. Released a large scale ERP system AMMIC/Net series ver4.0. Released a web-based BI tool AMMIC/WebDA. Released a large scale ERP system AMMIC/Net series ver4.1. Released a web-based BI tool AMMIC/WebDA ver1.1. *All domestic offices have been certified. Released a large scale ERP system AMMIC/Net series ver4.2. Released a web-based BI tool AMMIC/WebDA ver1.2. Released a large scale ERP system AMMIC/Net series ver4.3. Released a web-based BI tool AMMIC/WebDA ver1.3. Released a large scale ERP system AMMIC/Net series ver4.4. Released a STRAMMIC series BI tool STRA DA ver1.0. The capital changed to 34 million yen. 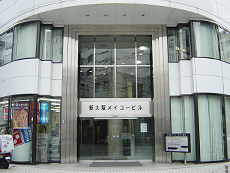 The capital increased to 84 million yen. *All offices have been certified.